The curriculum for Foundation (prep) to year 10 in Victoria is known as Victorian Curriculum. At Meredith we ensure that our curriculum is delivered in a meaningful and relevant way, to the students and that it captures their interests and is personalised to meet individual needs. Coverage of all learning areas is important, with emphasis on the core areas of English and Mathematics. 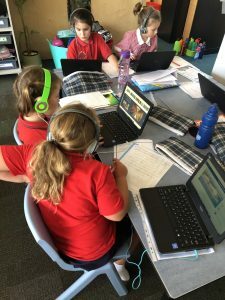 Meredith Primary School has heavily invested into Learning Technologies in recent years knowing that this is a significant part of the world we live in today. Our students have access to laptops, iPads, and iPods. Using these technologies in our classes also allows us to provide an enormous range of learning opportunities which suit each child’s individual needs. Currently each grade has access to their own group set of iPads as well as access to a further 20 iPads. We have a class set of 20 laptops which can be used by all grade levels. With a focus on using our technologies for creative purposes, we are now able to allow students to create things that wouldn’t have been possible in the past such as digital books, movies and animations. We understand that our students are growing up in the 21st century and we aim to give them a curriculum that is appropriate for the needs of the digital age. We aim for all of our students to leave us with highly competent ICT skills and a creative and inquisitive mind. Like our students, learning is a life long experience. 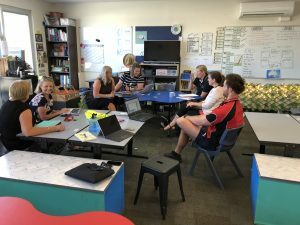 Meredith Primary School staff engage in weekly Professional Learning around the core focus areas of learning. As we continue to evolve in our learning as adults, we will continue to generate better experiences for our students. NOTE: Preps do not attend school on Wednesdays in February. 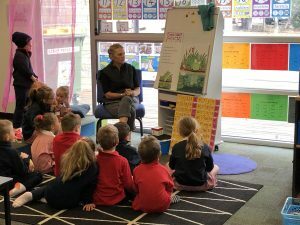 Copyright © 2019 Meredith Primary School. Powered by WordPress. Theme: Spacious by ThemeGrill.